Project Open Source Open Society aims to carry out participatory research with Mozilla, a global non-profit committed to the open web. 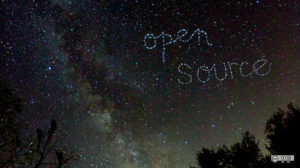 The project explores the idea of open source software as a component of a society, which upholds our democratic ideals. In 2017, a Mozilla Research Grant was awarded to explore the development of privacy add-ons as a tactic for advocacy and internet health. Privacy add-on developers, or other individuals who are knowledgeable about privacy add-ons, are being sought out for interviews. An overview of the project and a copy of the consent form are available for your review. 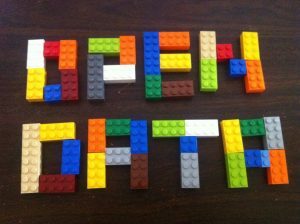 Learning to Code and Engage with Open Data is a pilot project funded by the Council for Research in the Social Sciences at Brock University (2015-present). The project aims to document experiences at hackathon and social coding events. A co-design and research workshop at Civic Tech Toronto is currently being planned for April 25th, 2017. Further information is available to explain the workshop activity and research. Previous stages included a survey and interviews with learners, mentors and instructors from a national learn to code day (2015) and participants from a hackathon (2016). The eQuality Project is a 7-year partnership grant (2015-2022) funded by the Social Sciences and Humanities Research Council (PI: Dr. Valerie Steeves, University of Ottawa). The project explores equality issues, such as privacy and cyberbullying, in the digitally mediated lives of youth. Dr. Karen Smith’s role is to act as a project collaborator, with responsibilities related to the youth project advisors. 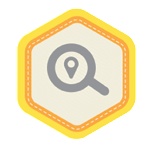 Co-designing Open Badges for Privacy Education with Canadian Youth was a participatory research project to create curriculum and to prototype open badges to enhance privacy education for teens in Canada. Dr. Karen Smith was the Principal Investigator for the Mozilla held grant, funded by the Office of the Privacy Commissioner of Canada through their Contributions Program. Eight teen peer researchers, Mozilla staff and academic collaborators made up the project team. From 2013-2015, Dr. Karen Smith was a Mitacs Elevate post-doctoral fellow with Mozilla in Toronto. Dr. Smith contributed to building the Hive Toronto digital literacy network with over 60 organizational members. Additionally, she supported research and knowledge synthesis relevant to web literacy, open source software and civic media.